There are plenty of photo tools available online for editing and organizing your digital photos. FotoJet developed by PearlMountain Technology Co., is a never-miss-out online tool that helps to turn your photos into amazing artworks with minimum effort. First of all, there are no complex settings and the whole interface is very intuitive and user-friendly. Using FotoJet is as easy as moving and dragging your mouse; no registration or download is required. When you entered its template page, you will be shown a superb list of templates. There are more than 400 delicate templates classified into various categories including Collage, Photo Card, Social Media and Misc. 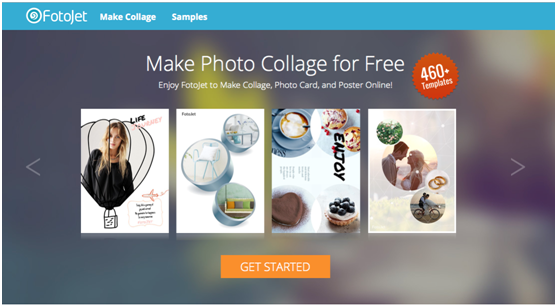 Under the Collage category, you can choose from like Modern, Classic, Art, Creative and even 3D templates. For photo cards, it covers almost all occasions and popular holidays such as Anniversary, Baby, Wedding, Birthday, Valentine, Halloween, Christmas, and Easter. If you are an active social media user, you will be amazed at its gorgeous designs for Facebook, Twitter, Pinterest, Instagram, and Google Plus. All of these designs are perfectly designed with proper size that’s great for uploading for use without resizing and cropping. 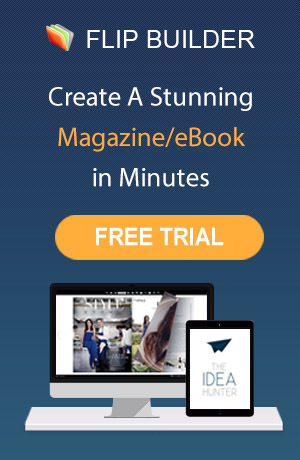 FotoJet includes many templates for Magazine, Fun Photo, and Comic, from which you can design yourself to be a famous magazine cover star or to become a wanted man, an astronaut, a medieval knight, a beautiful fairy and any other character you will think! 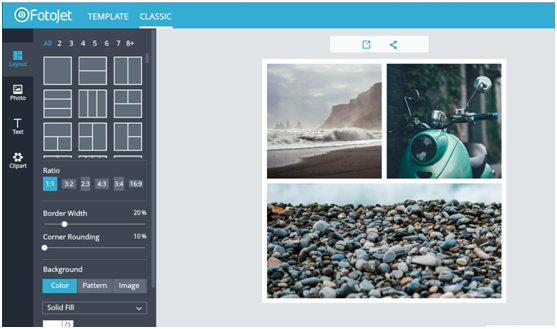 Once you are done with choosing the template, the next pick is to browse and glean photos you wish to insert. A great feature is the direct import of pictures from Facebook – makes choosing pictures easy and fast. Further you can edit the photos to your liking with the tools of Rotate, Flip, Mirror, Filters and color adjustments. Also, changing the text is simple in FotoJet. You can double click to edit the templates text with your own words. Text can be adjusted with different font, color, and size. One more thing, if you don’t choose form templates, you can also boost your creativity by working with the “Classic” mode. There are many classic layouts and the arrangements of each layout can be easily changed. You are allowed to add and edit text and clipart for retouching the layout. Background is also customizable with color, pattern and your own image. At last, save and share option is absolutely easy and quick. 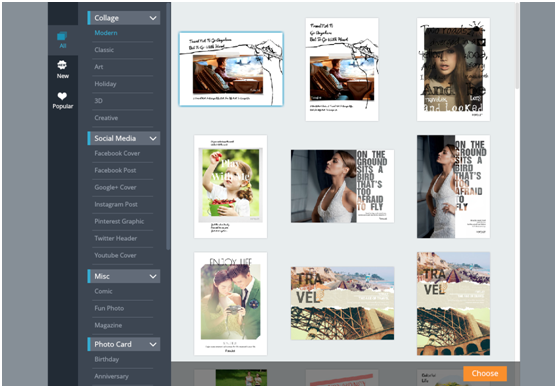 This is a web-based tool that’s all in one for photo collages, cards, social media graphics, fun photos and more. You can click here to see what you can develop with it!